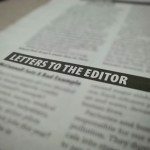 Editor’s Note: The Great Neck Record has been besieged with letters in response to Wendy S. Roth’s letter “Vote No on May 16” in the April 12 issue. The author makes verifiably untrue statements in response to the letter by Martha Cohen (“GN School Bond Defeat,” March 29), teachers in general, the Great Neck Public Schools and the proposed bond. Many community members recognized that the content of Roth’s letter were fabrications and were outraged. The Great Neck Record would like to clarify that while Roth’s letter only represents her opinion, we apologize for sharing misinformation. I read the letter “GN School Bond Defeat” in the March 29 issue of the Great Neck Record. The letter writer is advocating to vote Yes to the bond and Yes to the proposed budget. She indicated that she had worked for the Great Neck Public Schools for 30 years and currently works at a different job as a “teachers’ teacher.” She mentioned having tears after finding out that people voted No to the bond. It is quite easy to be callous of others’ pain, especially for a recipient of unparalleled pension and retirement benefits from one of the nation’s most costly school districts while benefiting from additional income as a teachers’ teacher. The school taxes broke the camel’s back a long time before the bond recently failed. Many had lost their homes to the exorbitant taxes, which primarily are dominated by the union-dictated salaries and benefits. Those families who had been living in Great Neck for generations during the pre-school district–unionized era had the real tears when they lost their homes to the unparalleled nationwide taxes. The head of the school district hints to individuals who complain about the exorbitant school taxes that they can move out of Great Neck if they cannot afford the school taxes. America was a great country before the unions took over the school systems. Now, the country is great for those benefiting from the unions and not as great for those who are strained by the taxes as a major part of their family expenses. I don’t believe that it’s right that the letter writer, as a school employee, take a position and formally tell people to vote Yes to the bond and the budget. You are not supposed to convince people and promote public schools’ agendas. As a current employee or a retiree, you should not promote self-serving agendas. In fact, I am surprised that as a seasoned and educated employee, you would resort to unethical actions, as it potentially could bring about legal actions against the school district and increase the taxes even further. The demonstration of state agencies campaigning for or against propositions or proposed constitutional amendments to be voted on by the public, while perhaps well-motivated, can only demean the democratic process. As a state agency supported by public funds, school employees should not advocate their favored position on any issue or for any candidate. As long as they are an arm of the state government, they must maintain a position of total neutrality. It could establish a dangerous and untenable precedent to permit the government or any of its agencies to disseminate propaganda in favor of or against any issue or candidate. Even if the position advocated is believed to be in the best interests of our district, it is illegal with costly legal consequences to inform, advocate and educate for simply promoting people even “to vote” by the school district and organizations such as the PTAs or the UPTC when targeting specific groups such as the parents of the students. People with conflicting opinions contribute and pay the taxes, yet no agency representing the interest of the government may promote its own opinions to vote or even promote directly or indirectly to the parents of the students. As far as the academic criteria, I believe that the public schools in Great Neck are far from being the best statewide and nationwide. In fact, the Great Neck Public Schools are not even the best in Great Neck, as North Shore Hebrew Academy is outperforming them in standardized tests such as the SAT with a significantly lower cost per student. JFK and Baker elementary schools were recently on the watch list of the Board of Education for underperforming. Another myth preached by advocates of our public schools is that the property values increase as a result of paying more taxes for the Great Neck Public Schools. It is correct that the presence of a decent school district improves the property value; however, paying almost 80 percent school tax in Great Neck takes its toll and has a negative impact on the property value. It’s been observed that the school board has been under the influence of the unions. The unions screen the candidates about their attitudes toward more spending and endorse the most-complacent individuals. As a result, the union-friendly board would bend down on their knees in front of the unions. If this was not the case, the $220 million for the school budget would have been more than sufficient for Great Neck’s underperforming schools to operate smoothly and do the needed repairs by utilizing the budget so they would not need a bond. I cannot sympathize with the letter writer. About one third of the collected taxes go to the retirement pensions and benefits (dental, vision, health and life insurances, etc). The median pension is $90K, the median teachers’ salary is $107K, the principals get $200K. So, when you tell people to vote Yes, you do not care about us, the taxpayers and their children. You only care about your salary, benefits and pension. The more, the better for you. But people who vote Yes to tax increases should understand that they will shoot themselves in the foot by signing their future to the school unions. In 10 more years, the taxes will grow so much that a large percentage of the residents will be evicted from their houses. Think of it. Vote No to the exorbitant proposed budget, which predominantly allocated increases for benefits and pensions instead of allocating more funds for maintenance. Vote No to the new proposed bond. The new bond asks for expansions, despite no real expansions in student enrollment. The prices for average-square footage of the repairs are many folds higher than the norm for the government projects.